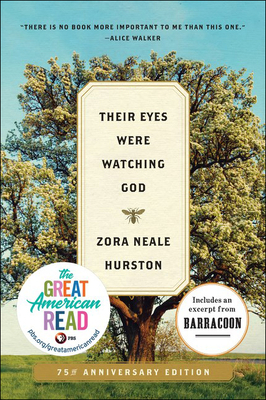 One of the most important works of twentieth-century American literature, Zora Neale Hurston's beloved 1937 classic, "Their Eyes Were Watching God," is an enduring Southern love story sparkling with wit, beauty, and heartfelt wisdom. Told in the captivating voice of a woman who refuses to live in sorrow, bitterness, fear, or foolish romantic dreams, it is the story of fair-skinned, fiercely independent Janie Crawford, and her evolving selfhood through three marriages and a life marked by poverty, trials, and purpose. A true literary wonder, Hurston's masterwork remains as relevant and affecting today as when it was first published -- perhaps the most widely read and highly regarded novel in the entire canon of African American literature.